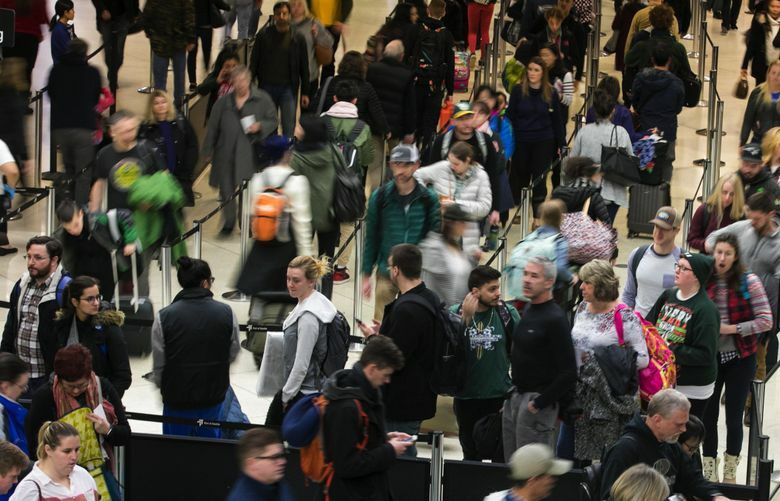 A record 107.3 million people traveled during the busy winter holiday season last year, and it looks like this year will be just as busy. Here's some holiday travel advice for navigating the chaos. Book early. Give yourself a little extra time at the airport or on the road. Prepare for bad weather. If you’ve read that obvious holiday-travel advice once, you’ve probably read it a hundred times. And I’ve probably written that holiday-travel advice a hundred times. But this year, how about something a little different? A record 107.3 million traveled during the busy winter holiday season last year, according to AAA. That’s the highest year-end travel volume on record. It looks like this one will be just as busy, which means chances are you’ll get caught up in the craziness. You won’t find this holiday-travel advice anywhere else. It includes tips on how to behave, how to book, what to pack and how to travel. First, be kind to others. No, this isn’t obvious travel advice. If it were, everyone would do it. But they don’t. The holidays are a time of road rage and in-flight altercations. Pack your patience. OK, maybe you’ve heard that advice. But have you? Most of the holiday-travel advice I’ve read allows you to conclude that by following a simple laundry list of suggestions, you won’t need to be patient. But you will. Oh, you will. You’ll need all the patience you can muster — and then some. Stay a little longer. That’s the advice of Christopher Bielski, the sales and marketing director for the Fort Lauderdale Marriott Harbor Beach Resort & Spa. Lodging rates fall when everyone returns home. And if you can extend your stay over a Sunday, you can save money. “Any time you can include a Sunday-night stay at a resort or hotel you are likely to get a better rate as Sundays are very difficult to fill,” he adds. Treat your stress before it ruins your trip. Holiday travel is stressful, says wellness coach David Nico. Take steps to prevent it. His favorite: peppermint oil, a therapeutic herb used in a variety of digestive conditions. “Peppermint oil decreases bloating and nausea associated with gastrointestinal disturbances,” he says. When the flight attendant asks what you want to drink, go for the peppermint tea.